Located in the heart of Cahaba Heights, Satterfield’s Restaurant is one of Birmingham finest culinary destinations. We offer the freshest and best ingredients, a friendly and knowledgeable staff, and elegant ambiance. An evening at Satterfield’s takes you to that place where the family dinner table and fine dining meet. Satterfield’s specializes in a global dining with a local (Southern!) twist. Becky Satterfield opened the restaurant in 2005 with the idea that fine dining doesn’t have to be pretentious, but can be relaxing and comfortable. While the menu changes daily, guests will always find Old-World flavors married with New-World sensibilities. Favorites include wood-grilled steaks, fresh seafood, veal, rabbit, and quail — each with noticeable French, Italian, Spanish, or Mediterranean influences. And don’t miss Becky’s famous corn muffins, baked fresh and served at each table. We have multiple seating options ranging from the main dining room to our chef’s counter, our outdoor patio, or our full-service bar. Satterfield’s Restaurant is delighted to announce Chef Rita Bernhardt as the executive chef beginning Monday, April 22. 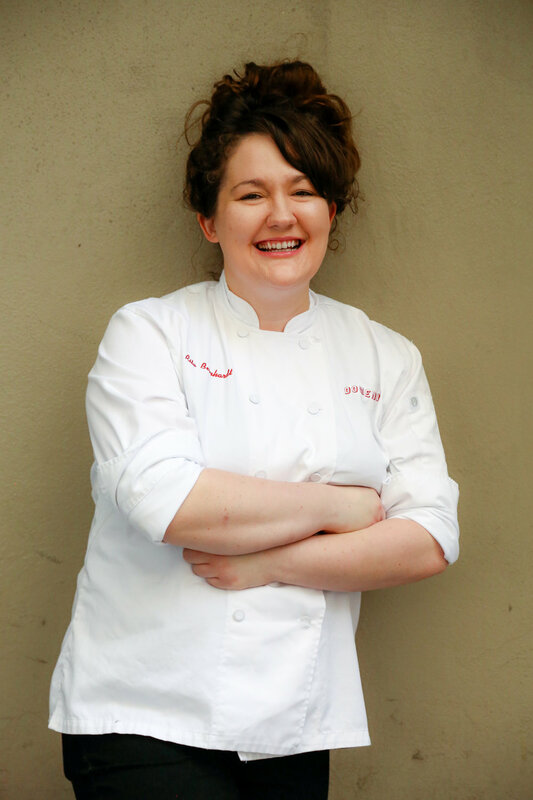 Chef Bernhardt will continue in the restaurant’s tradition of providing global dining with her own local, Southern twist.